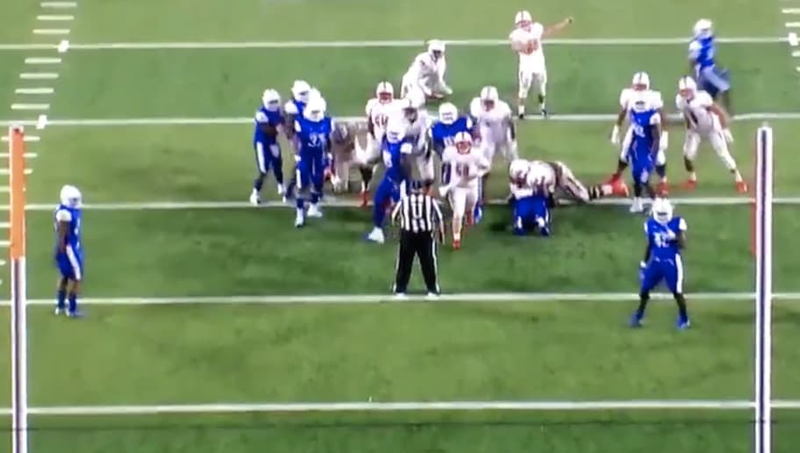 ​College field goal kicking can produce some absurd results. Some kickers can hit bombs from 50 yards away, while others shank cheap shots. But on Thursday night against Georgia State, South Alabama kicker Gavin Patterson did something we've never seen before. ​​The ball hit the left upright, then hit the bottom of the goalpost twice before rolling through. Even with all that movement, the field goal was still good. Honestly, that should be worth more than just three points. It's simply impressive that this kicker could get the ball to hit the goalpost three times. Even if the field goal had been no good, that still would have been a feat in its own way. All things considered, we have a new leader for kick of the year. Let's see if anyone can top it this weekend.